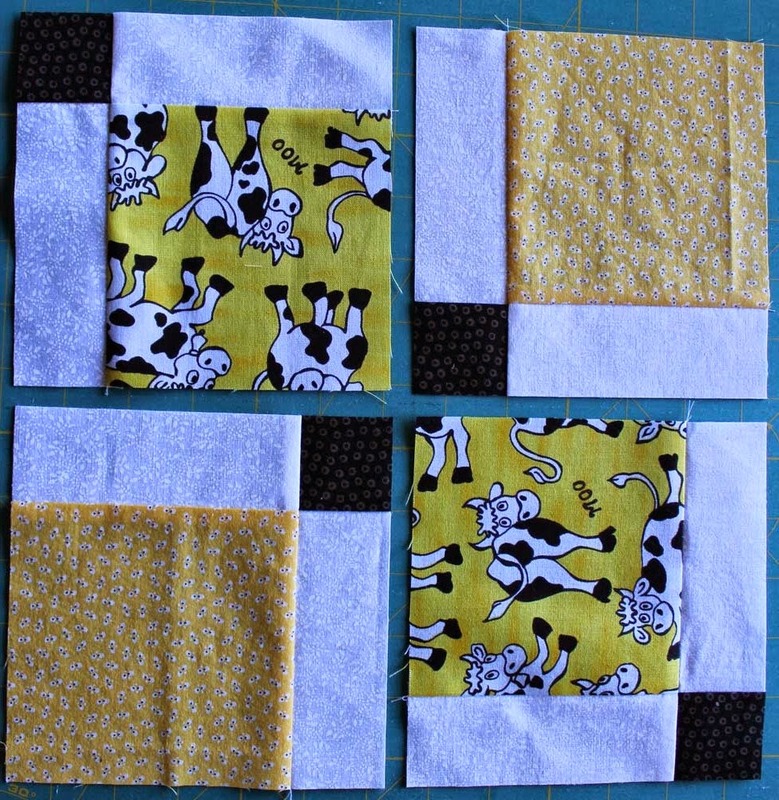 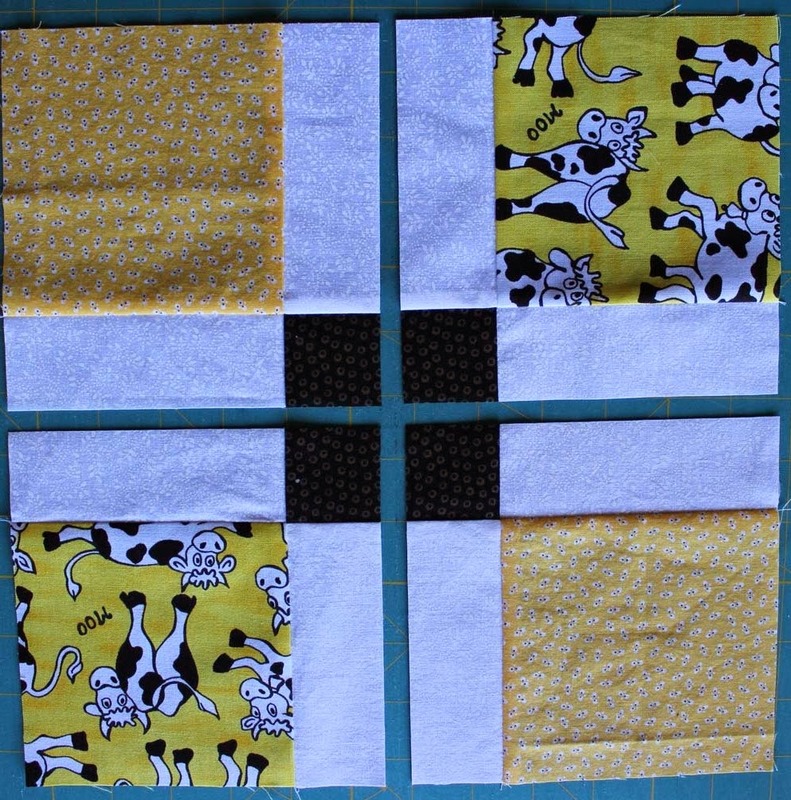 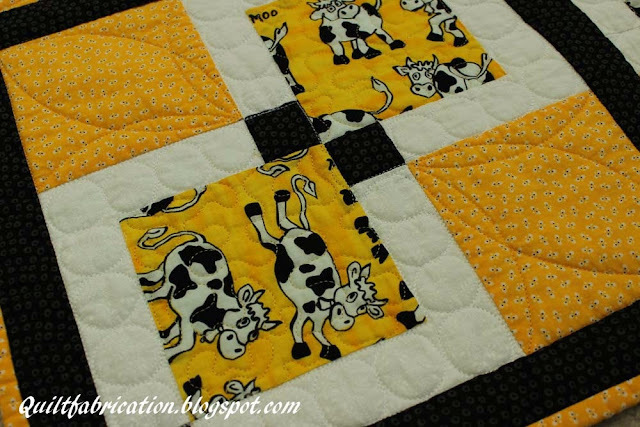 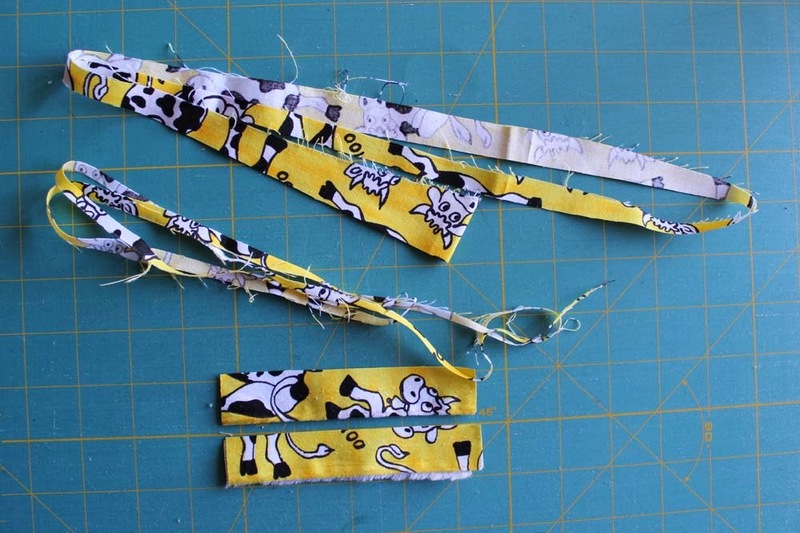 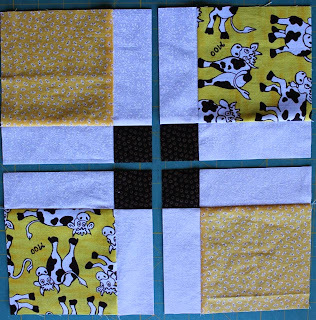 Do you see the X's and O's made by the cow fabric? 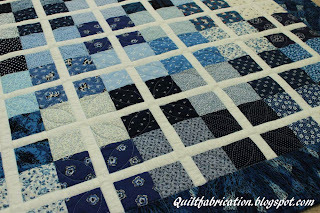 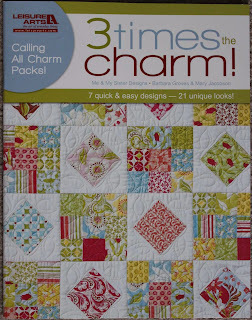 This quilt was really easy as it started as an unequal nine patch, and then cut, turned, and stitched with sashing. 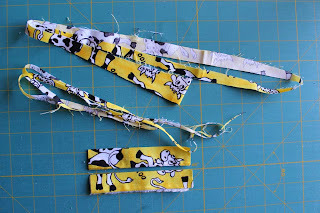 So happy to have used it up!!! 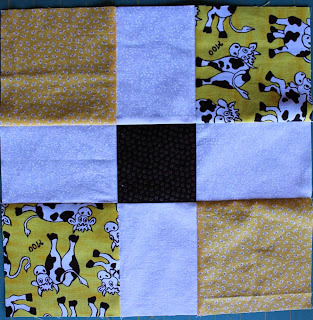 As for the quilting, freehand circles fill up the white areas, stippling for the cows, and some simple arcs fill in the yellow areas. 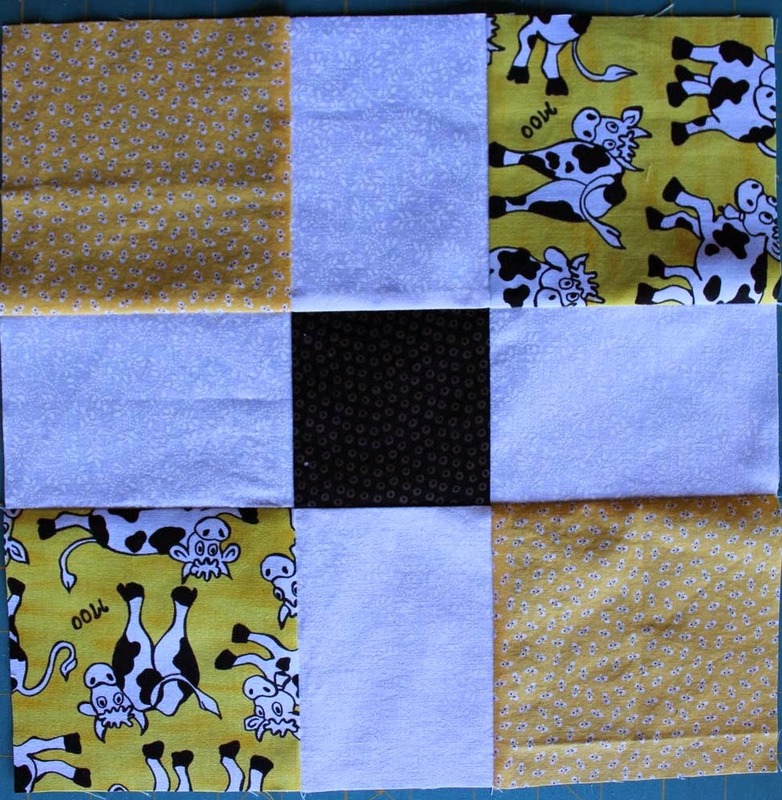 The black was left empty since it's about an inch wide. 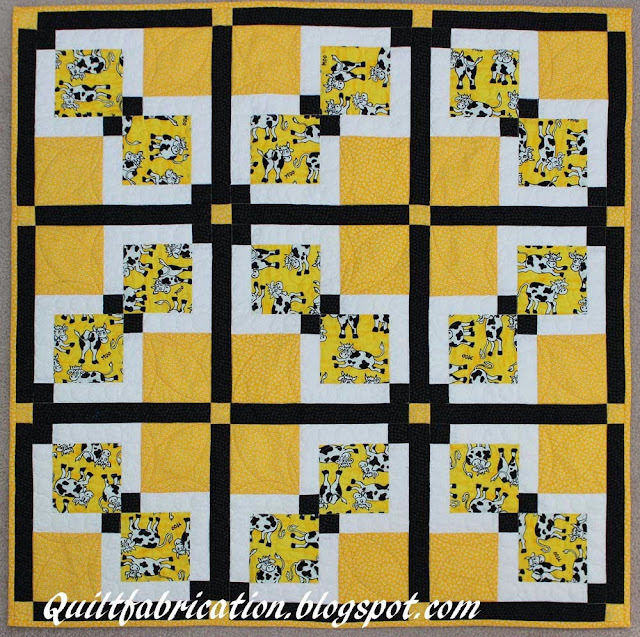 I didn't need to over quilt this. 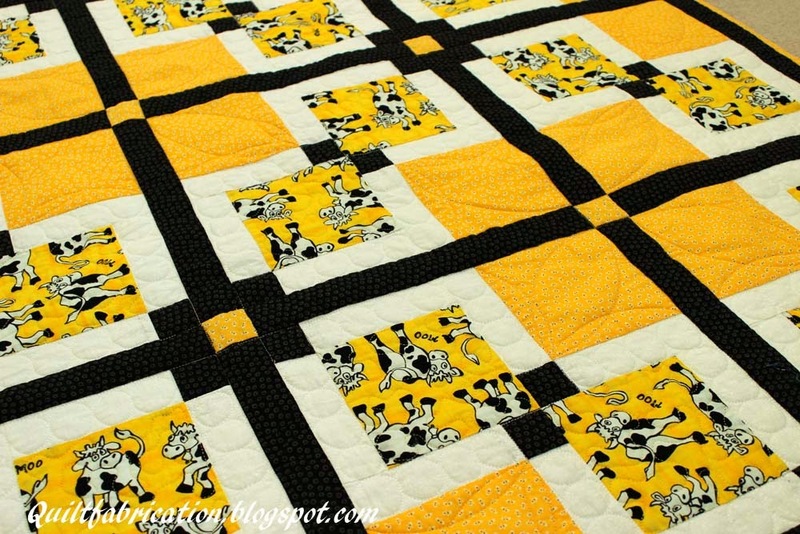 Click here to see the previous posts on this quilt.